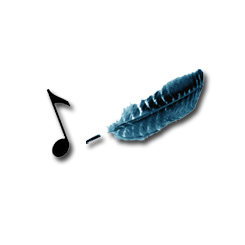 ﻿ MusiClassroom - Music portal offering free online music lessons and downloads,music methods and free sheet music dowloads. For beguiners as well as for professionals, the academy teaches music lessons of the highest quality, with video, audio, score or text support. 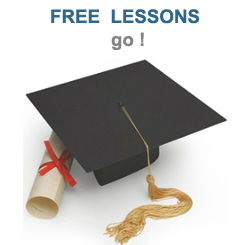 Different levels are available, and each lesson includes an evaluation test. 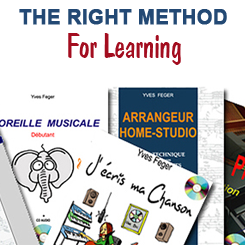 Whatever a beginner or advanced musician you are, if you need strong basics or want to improve your knowledge, order and receive by free shipping, the necessary books, dvd or cd methods for your training. see more.. 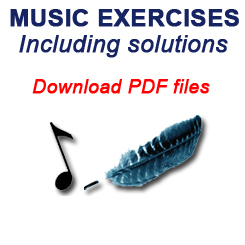 Complete your music training and musiclassroom methods by downloading the exercises and correct versions in pdf format, in order to evaluate your level in various disciplines such as : harmony, music theory, chords or piano accompaniment and rhythm, jazz piano, guitar, see more..
Free or low price ! 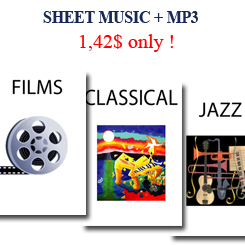 Download and print hundred of free sheet music and guitar tabs, whatever the music style is : jazz, classical, song, pop-rock & film music, or play original jazz, classical and film sheet music with mp3 audio files, from 1,36 $ only ! 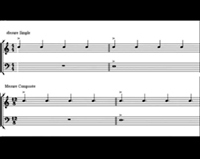 see more..
Download and print your blank sheet music for free, in order to write your own music for piano, small instrumental and vocal bands, up to the mixed choir or full symphonic orchestra. see more..
All the music on video ! A musical webtv in order to take free music lessons on video, watch to musician interviews, read and listen to music pieces, but also watch to the performances of the most famous artists of the youtube planet. whose recent release could not escape to the Musiclassroom columnists. 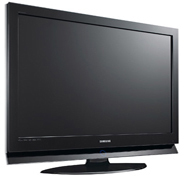 Learn music on video, it's easy ! 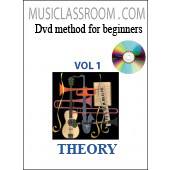 This superb collection includes ten volumes and ten DVD and allows the musician beginner to follow some clear and concise music courses, in order to acquire the essential basics of the musical language. The music theory course examines the basic elements of music through the study of all signs which are necessary in order to read and write music. The stave with five lines and four spacings, the seven notes, the alterations of the notes, the note durations, the two main clefs in order to read the notes, the values of the rests, the extensions of the notes such as the seventh, the eleventh and the thirteenth, the rhythmic dot and tie, the ternary triplets, the musical movement, the fermata or suspension of time, the dynamics and steps of intensity, the accented notes related to the phrasing, the simple and compound measures, the rhythmic syncopation and offbeat, the keys and tonal modulations, the scales and other melodic modes, the intervals of music. 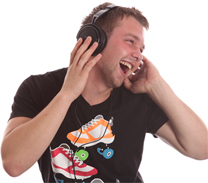 The musical rhythm course allows the musician to set in motion the notes of the music, through the individual study of the various note values, their combination and their place within the measure. 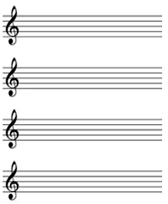 So, we will study the figures of notes such as the whole note (four beats), the half note (two beats), the quarter note (one beat), the eighth note (half beat), the sixteenth note (quarter of the beat), the thirtysecond note (eighth of the beat), and the sixtyfourth note (sixteenth of the beat). We will also study atypical rhythms such as the syncopations and offbeats, and different rhythmic combinations of all previous rhythms, with a binary and a ternary feeling. As an essential introduction to the basics of music composition, the study of the melody helps us to understand how are composed and played the famous themes of music. The composition of a success melody depends on various parameters such as: the upward or downward motions, its constituent intervals, its division into sentences and phases, its ambitus or dimensions of its range, the scales or modes that it uses, the mixture of harmonic or non-harmonic notes, the quality of its ornamentation, or its close association with the musical rhythm. The understanding of the chord structure by the intervals, is an essential introduction to the of musical harmony techniques. Consonant or dissonant, in open or closed position, with two or more sounds, simple or doubled, all of the basic chords are reviewed here, with their alterations and extensions, their symbols in both classical and jazz styles, their inversions and their positions: in third, in fourth or in cluster. This musical harmony course will make you understand how to handle a chain of chords, to create and play some chord progressions, to harmonize a melody in order to bring colors to it. 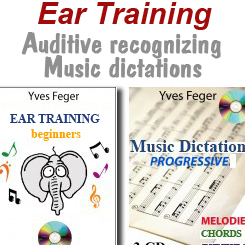 You will also learn how to use the different voices of harmony, their movement from a chord to another, the harmonic frequency within the measures, the breathings or major harmonic cadences, the harmonic or non harmonic notes, the main rules of harmonic writing, the building of the harmonic sequences and the modulation process of a musical piece. 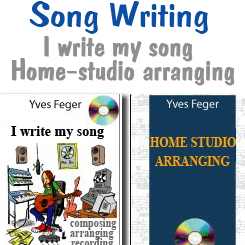 In order to better interpret or compose a piece of music, it is important to know the structure, in other words the order of the different sections of a musical composition. This musical forms course describes the structure of classical pieces, songs and jazz standards. The "Sonata" structure with its exposure, development, recapitulation and coda, the "Lied" and its structure divided into three parts, the "song" or "Rondo" structure alternating verses and choruses, the "suite" of ancient dances, the scherzo and the minuet with their tripartite form, the "variation" and its different presentations of the thematic element, or the fugue and its constant counterpoint. This course is about the instrumental techniques that will give the composer, arranger and orchestrator, all the necessary techniques of the musical instruments used as soloists, or within an orchestra, through the study of their tuning, range, sound and playing techniques. All instrumental families are studied: the woodwinds, the Brass, the strings, the percussions, the keyboards and the vocals. The study of the piano is essential to all musicians, pianists or non pianists, because as a polyphonic, melodic and percussive instrument, it allows to handle the harmonic techniques as well as the hand and finger independence. This piano lesson for beginner goes through all the points of music theory applied to the keyboard, by the performance of little pieces for beginners. 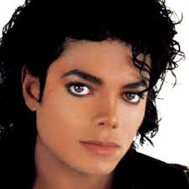 The techniques included are: the scale and arpeggio, the note values, the rhythmic dot and tie, the rests, the motion and melodic phrasing, the harmonic modulation, the dynamics, the chords played with both hands and the melodic ornaments, and the use of the pedals. 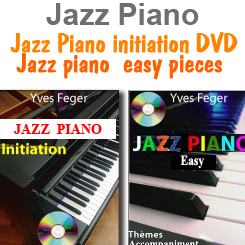 the improvisation course is useful in order to develop the qualities of creativity of any musician. Like a composition of the moment, the improvisation opens wide horizons to the musician, whatever his instrument is, but this teaching should be based on a solid theoretical basics, through the mastery of chords, scales, scales - chord relationships, rhythm, accompaniment and patterns development. the music analysis course requires a perfect knowledge of all the elements of the musical language that are: the music theory, harmony, songwriting, instrumental techniques of the orchestra, orchestration ect ... 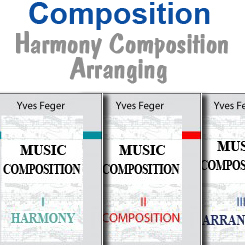 It helps to better interpret and compose the musical works by analyzing the structure, the main themes, the harmonic progressions, the modulation and the orchestra. 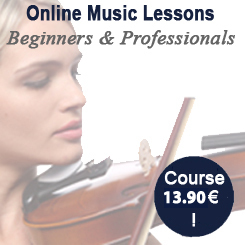 The Musiclassroom.com website is a music portal proposing music courses on videos, in order to follow online music lessons as diverse as: music theory, classical piano, jazz piano and piano accompaniment, guitar, improvisation, ear training, music notation, harmony, composition, arranging, orchestration or song writing, within three progressive levels of difficulty: beginner, Intermediate and Advanced. 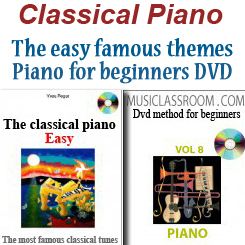 This website also allows you to download thousands of free sheet music for piano, instrumental or vocal ensembles, guitar tabs, to follow many Karaoke videos along with downloading song lyrics, and to download multiple formats of Free blank music paper. 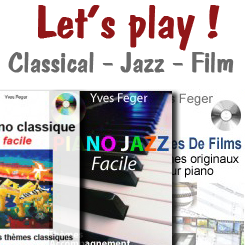 But Musiclassroom is also the place for free music that allows you to read a musical analysis of the masterworks in the different styles of classical music, jazz, song and film music, as well as videos Tutorials in order to acquire as simply as possible, all the basics of music theory. 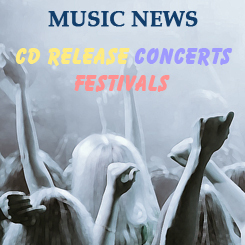 Musiclassroom also proposes some music news and selects for you the latest CD releases, the concerts and music festivals to come, and the discovery of artists and musicians in the fields of: song, pop rock, classical, jazz or film music styles. Finally, The Musiclassroom recording studio will allow musicians to get through their musical creations in a professional studio, in order to make an album, a soundtrack or even a musical score, and upon request, to obtain the making of sheet music on purpose of copyright protection.